Dead Flowers Productions: Stomp Your Feet And Clap Your Hands! Stomp Your Feet And Clap Your Hands! Dead Flowers and Knighthawk Productions bring you an evening of rock'n'roll mayhem with The Brought Low, 45 Adapters and Sorceress. 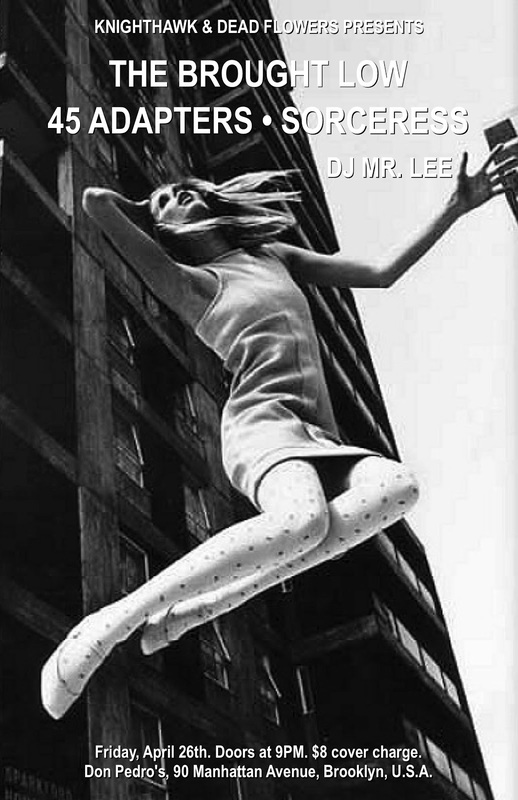 DJ Mr. Lee will be on the wheels of steel spinning the finest punk, glam, garage, freakbeat, and '60s r&b before and after the bands. 90 Manhattan Avenue, Brooklyn, U.S.A. Kicks off at 9PM. $8 cover charge.